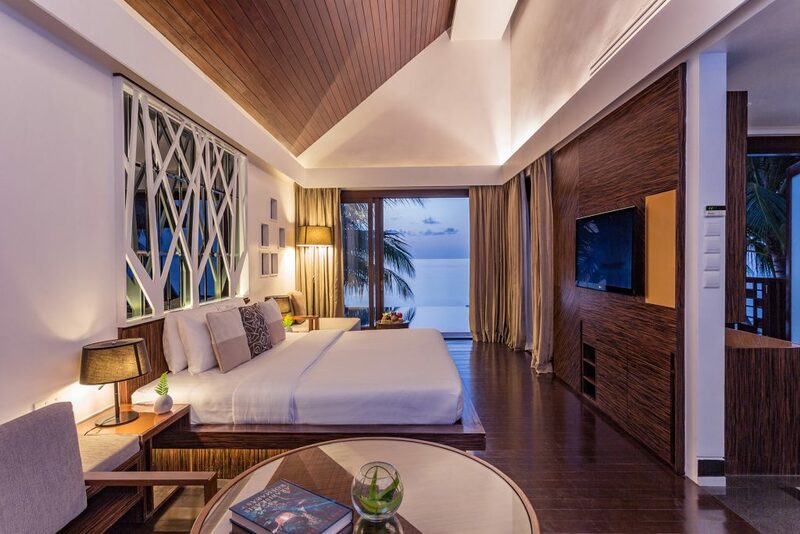 Bandos Island Resort & Spa is truly a family’s paradise, located only 15 minute minutes from Malé and boasting an abundance of activities for all ages. 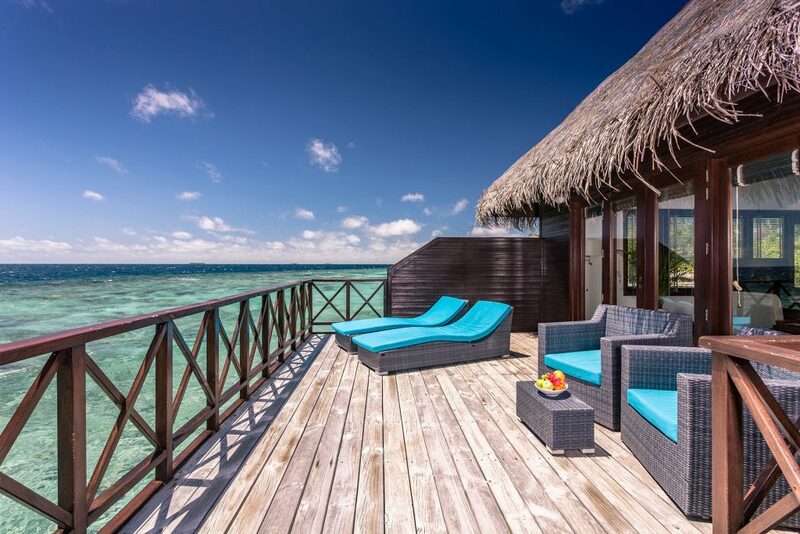 Spend your days in the crystal clear waters made for hours of snorkeling, or sunbathe by the soft white beach. 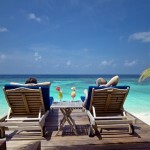 One thing is certain – you will return back home feeling more relaxed than ever. 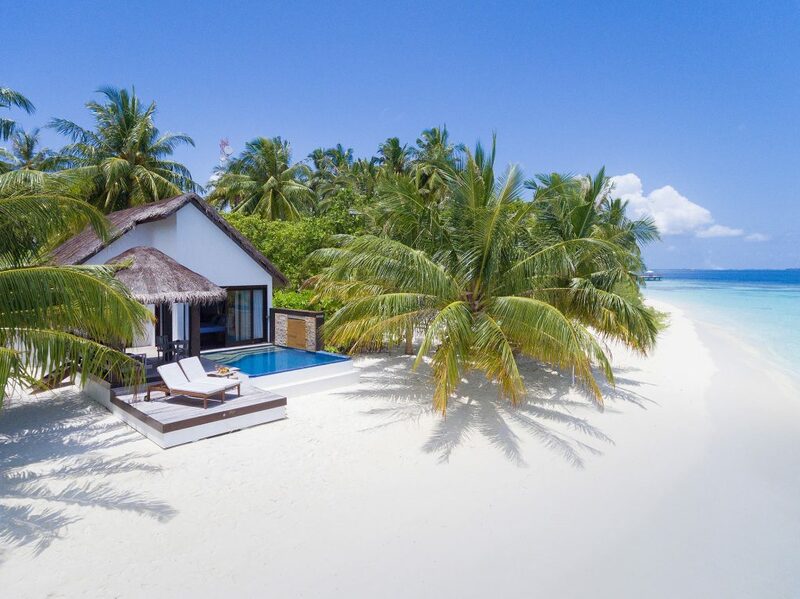 Experience hospitality at its best at Bandos Island Resort & Spa – the family’s favourite piece of Maldives. 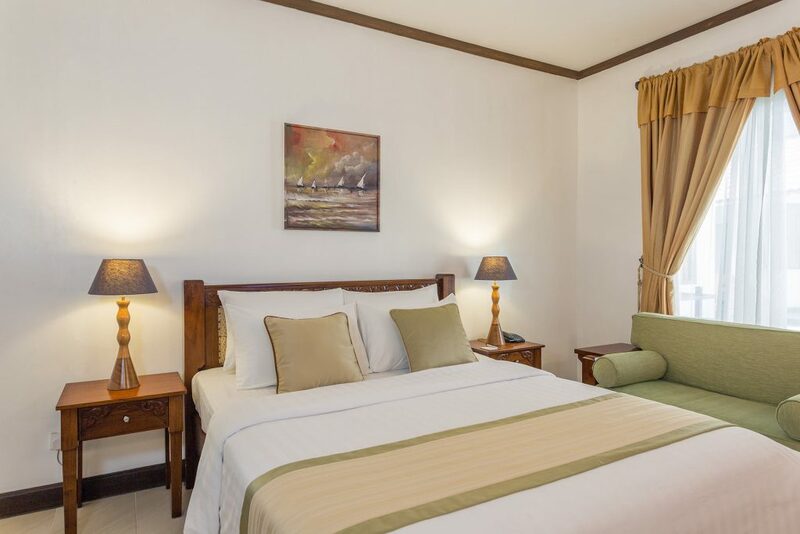 The Classic Rooms are nestled away in the lush heart of Bandos are designed to be clean, comfortable and elegantly simple. 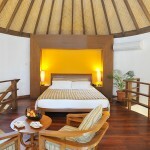 The Standard Room (37 sqm) offers great value for money, with its excellent location and elegant design. 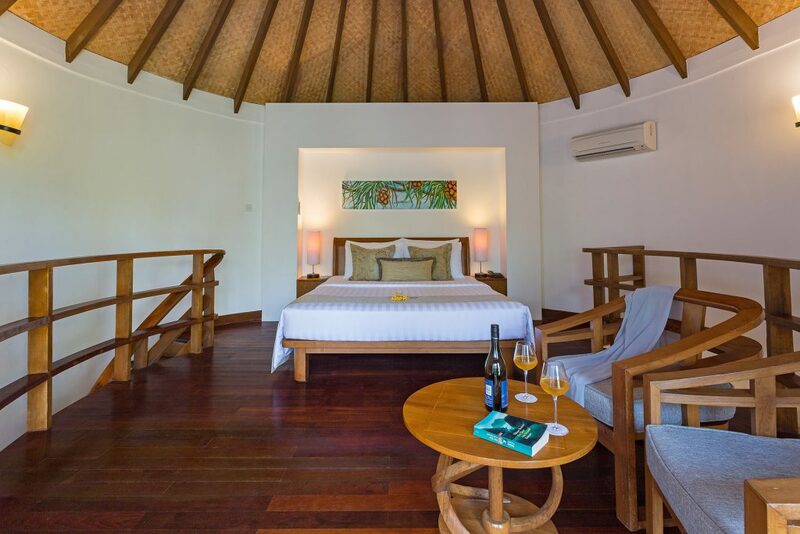 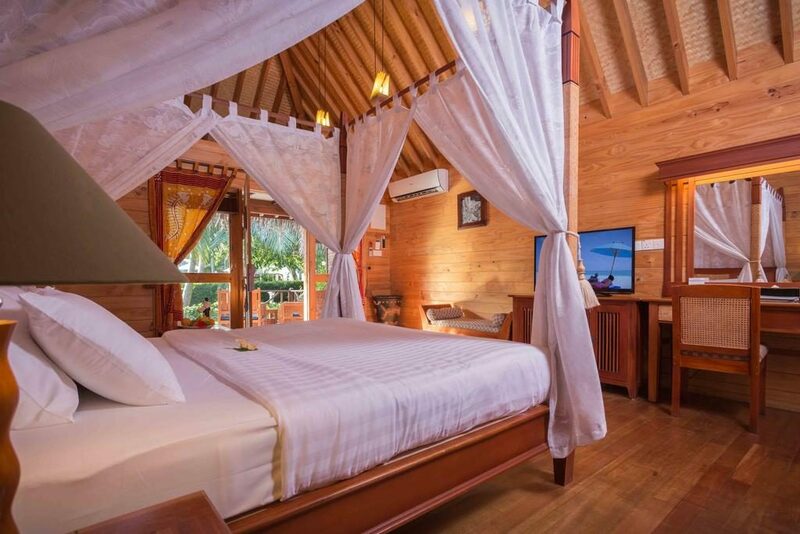 Wooden features add a traditional Maldives feeling to the Standard Room, which accommodates three adults (or two adults and one child). 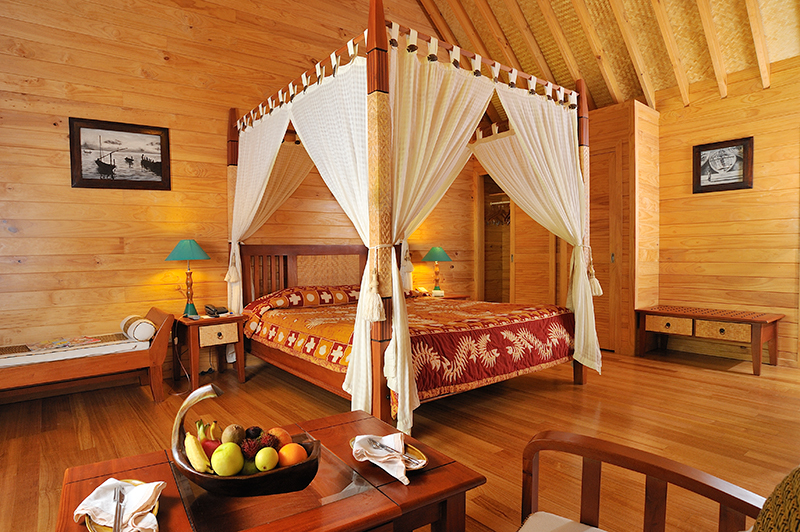 The Deluxe Room (53 sqm) is a more lavish option, located on the beautiful northeast side of the island. 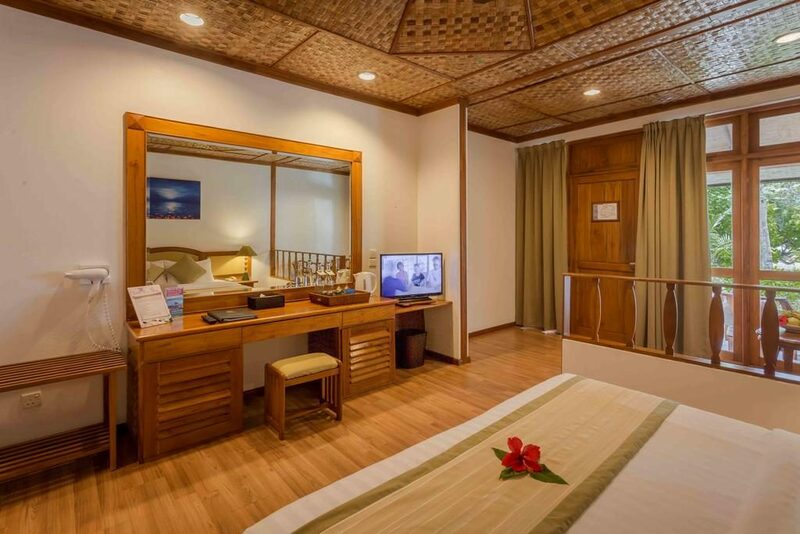 The Deluxe Room is spacious and has a separate living area, which makes it suitable for families. 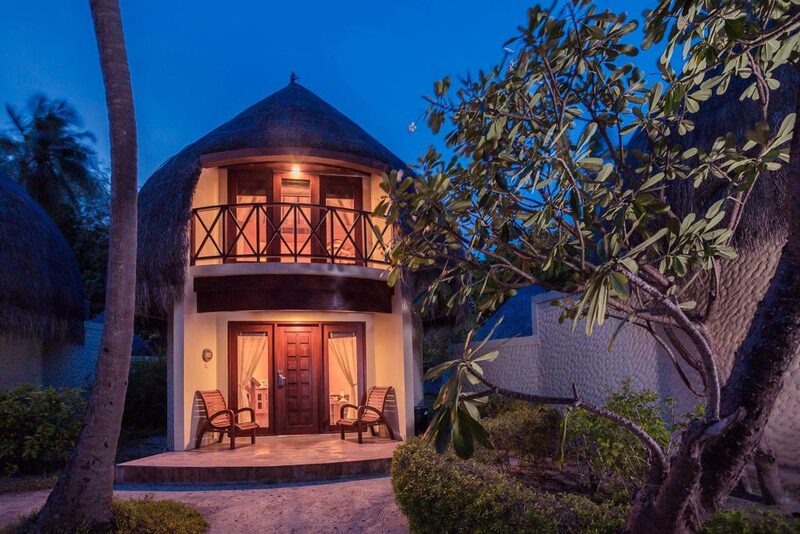 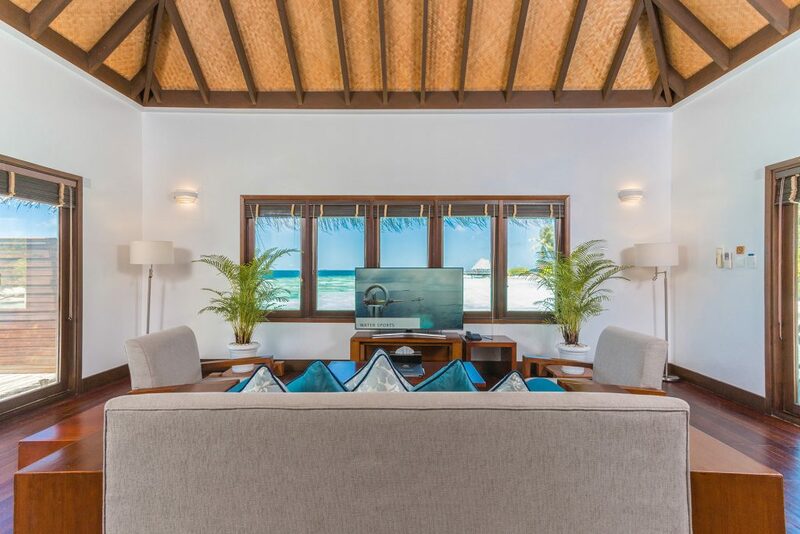 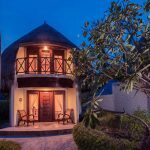 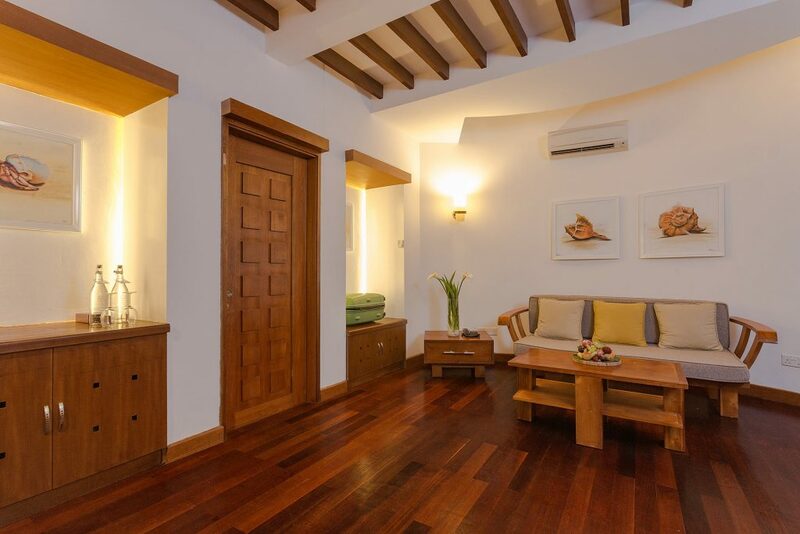 Traditional Maldivian features make for a cosy atmosphere, as does your private terrace. 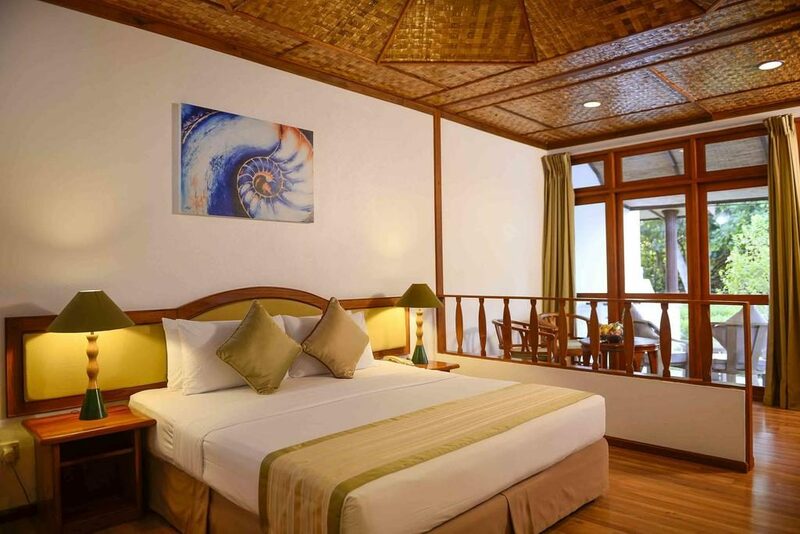 The Deluxe Room can accommodate three adults (or two adults and two children). 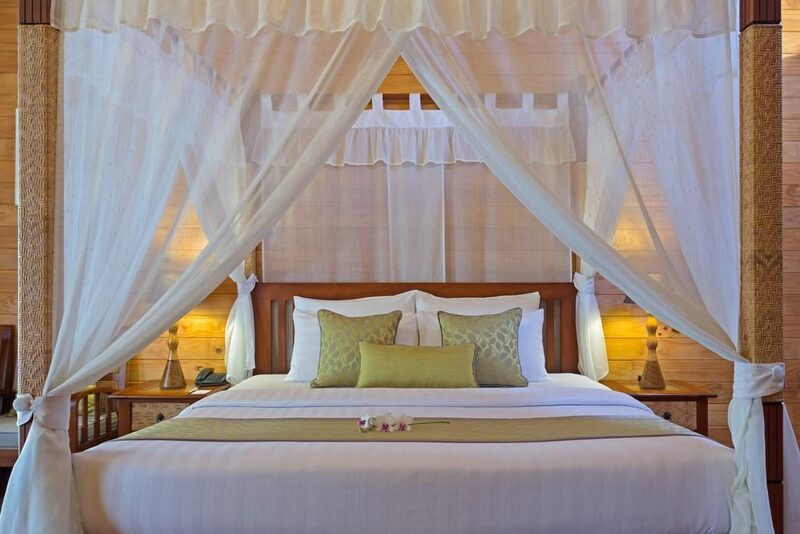 The Garden Villa is located in a secluded lush location near the swimming pool on the south side of the island. 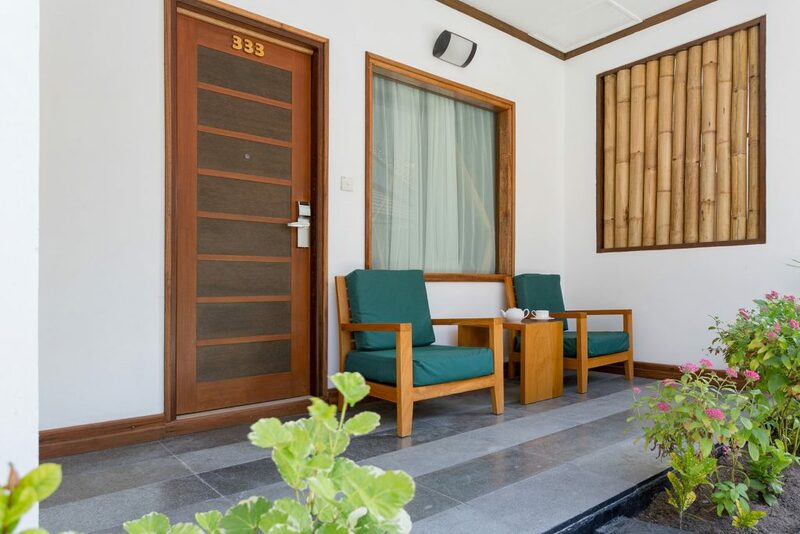 You have your own patio, ideal for lazy afternoons in the shade. 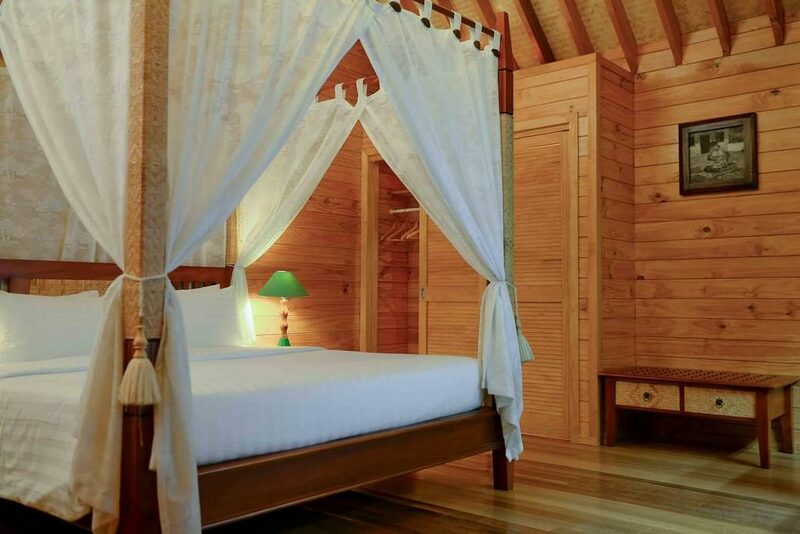 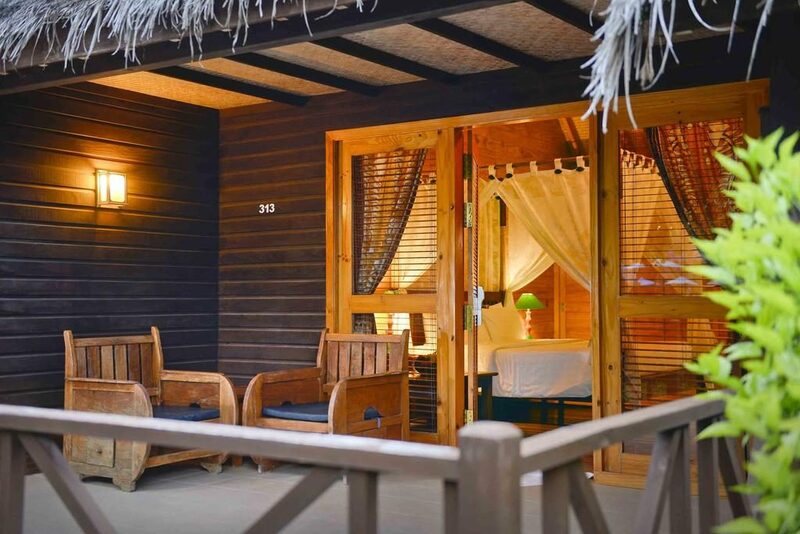 Staying in this charming wooden chalet surrounded by exotic flora makes you feel as one with the island. 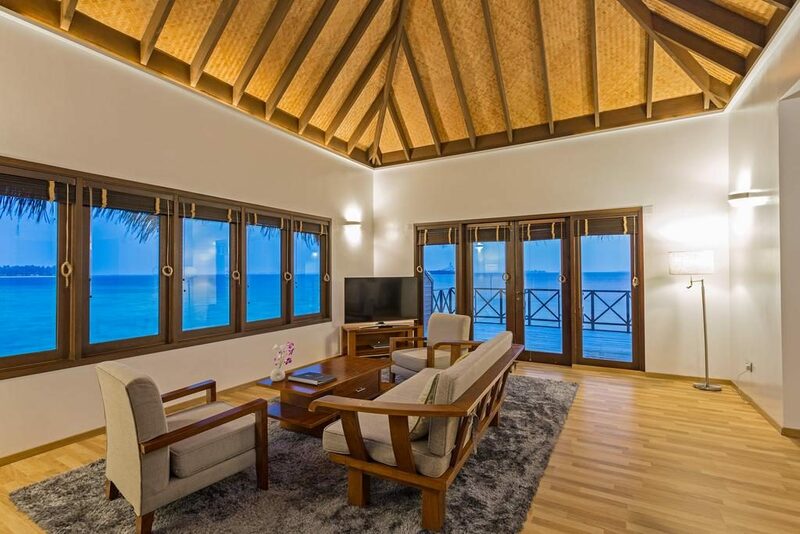 The Water Villa (116 sqm) is located directly above the marvellous Indian Ocean and offers complete seclusion. 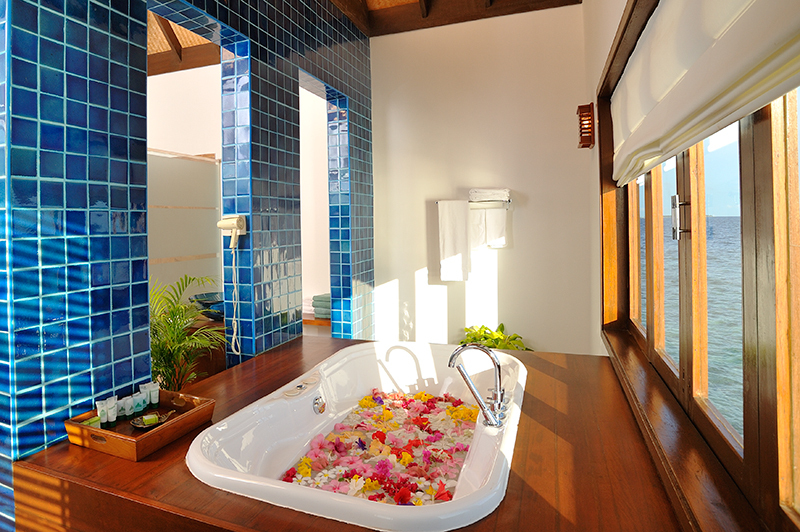 A spacious private sundeck, lavish interior, Jacuzzi bath with ocean views and an outdoor shower add luxurious bliss to your Maldives holiday. 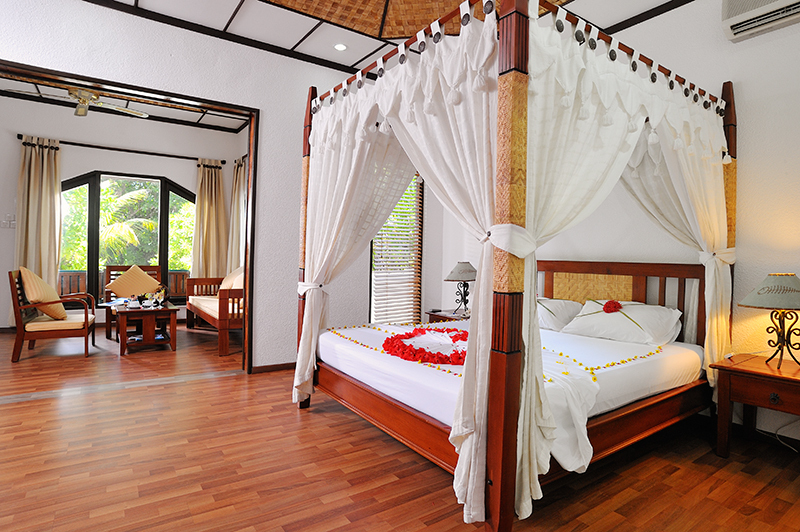 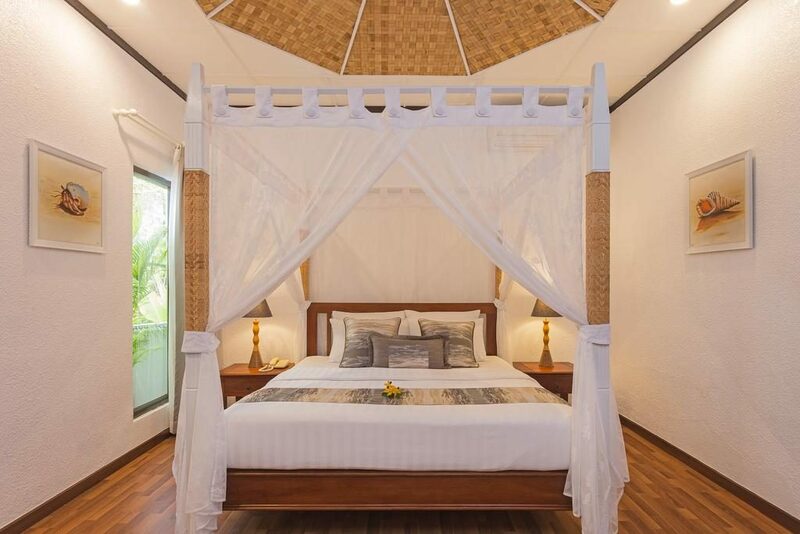 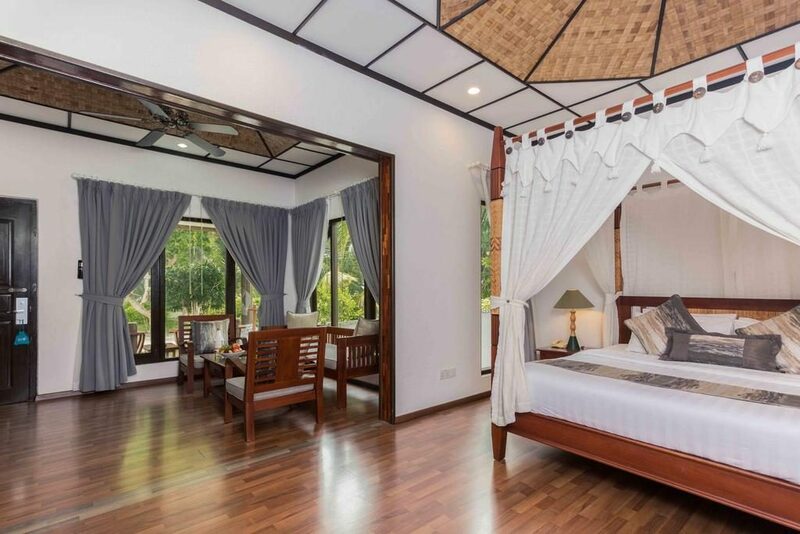 A romantic fourposter bed is the royalty of the bedroom, while you have all the modern amenities you need in the villa. 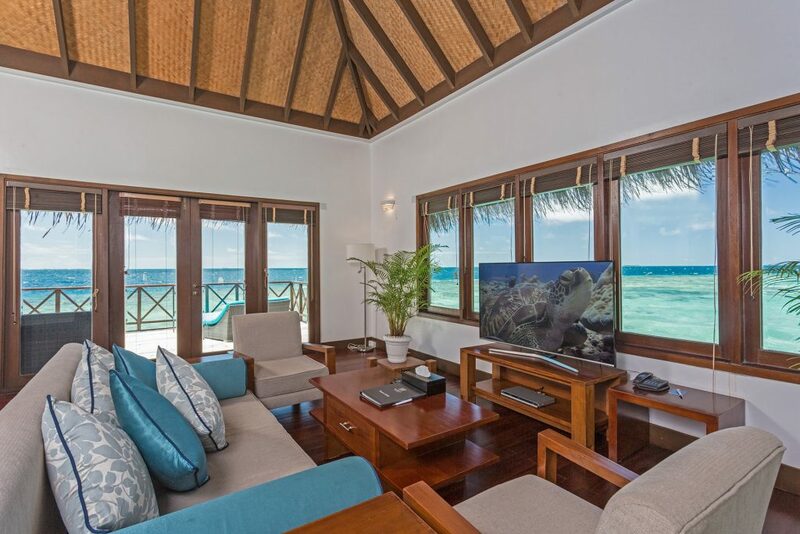 The Water Villa accommodates three adults (or two adults and an infant). 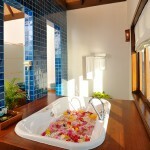 The Jacuzzi Beach Villa (109 sqm) is situated directly on the stunning beach with excellent views of the lagoon. 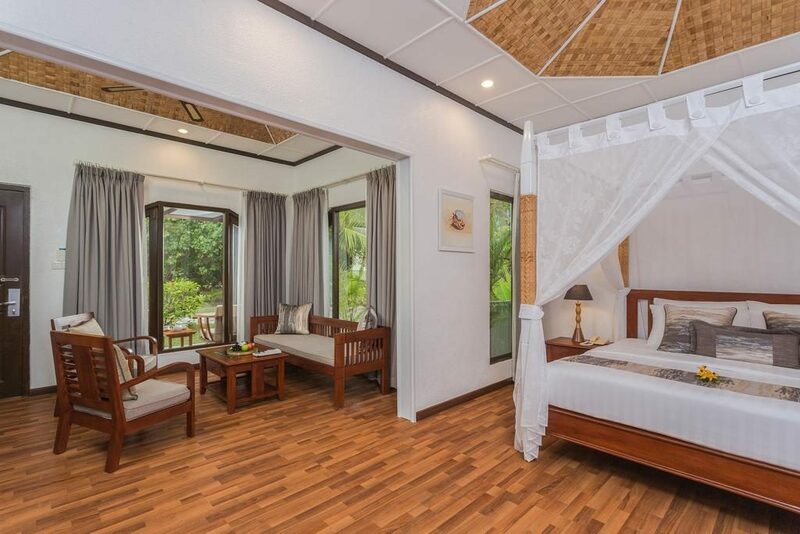 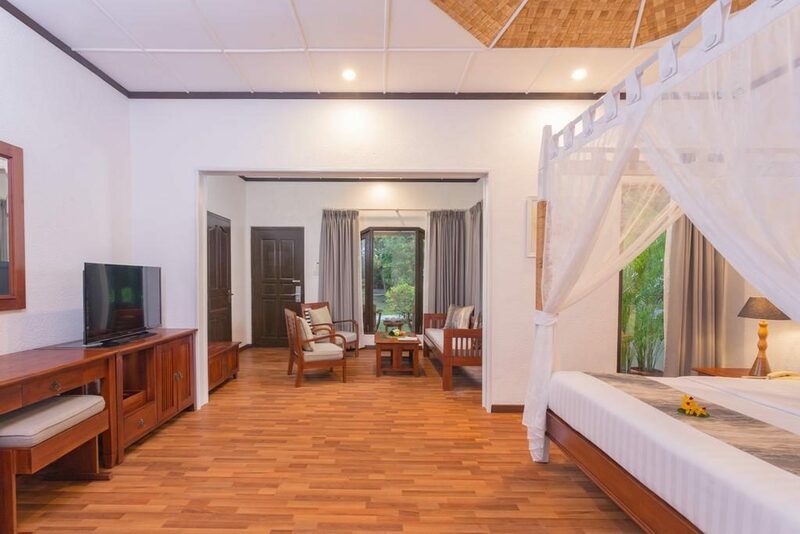 Boasting a separate living space and an open-air bathroom with a Jacuzzi bath, the Jacuzzi Beach Villa is ideal for couples wanting an exclusive Maldives holiday. 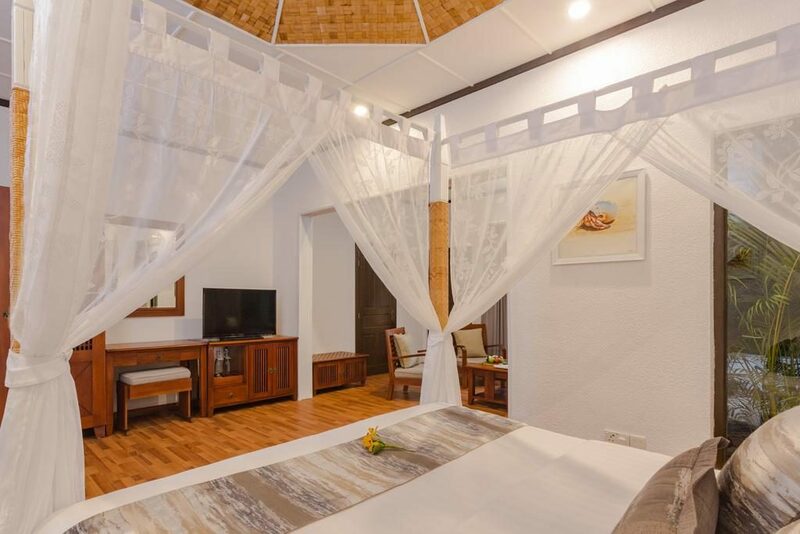 This villa has room for three adults (or two adults and one child). 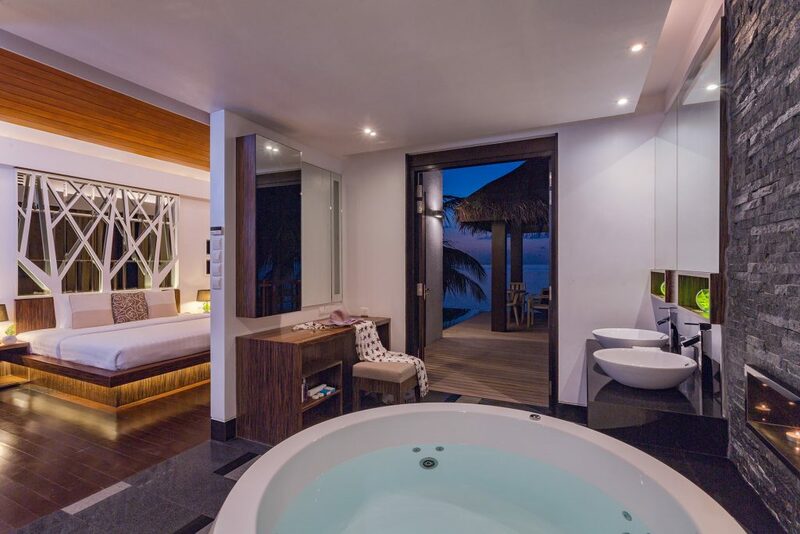 The Jacuzzi Pool Villa (89 sqm) boasts modern luxury combined with striking ocean views. 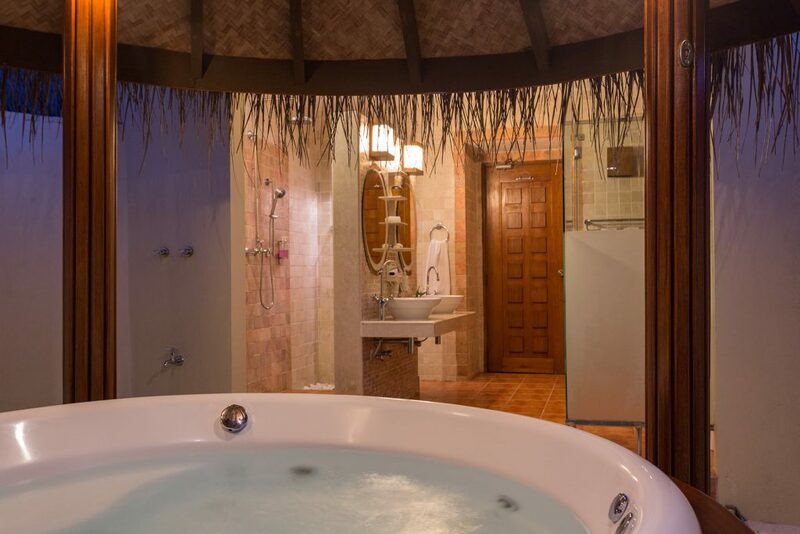 Featuring its own infinity pool and a lovely Jacuzzi, the Jacuzzi Pool Villa has everything you need in a holiday with your loved one. 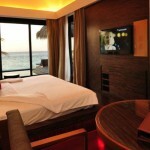 In addition, you have a Cabana style sundeck overlooking the ocean. 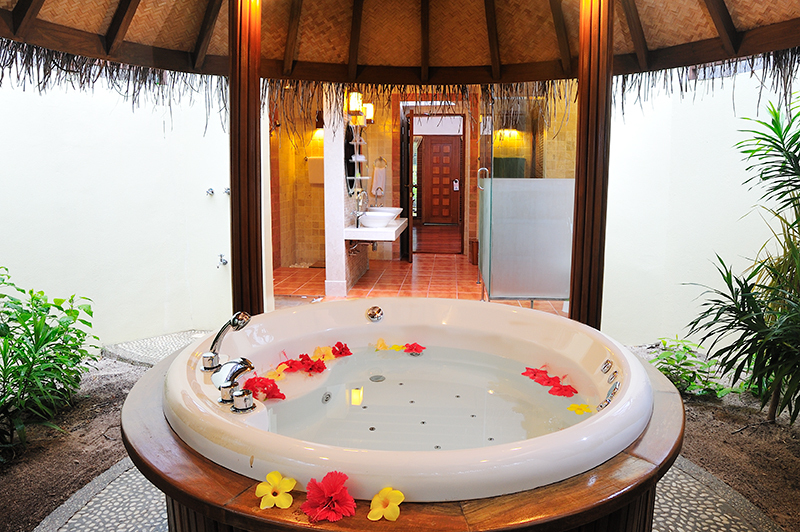 The Jacuzzi Pool Villa can cater for two adults. 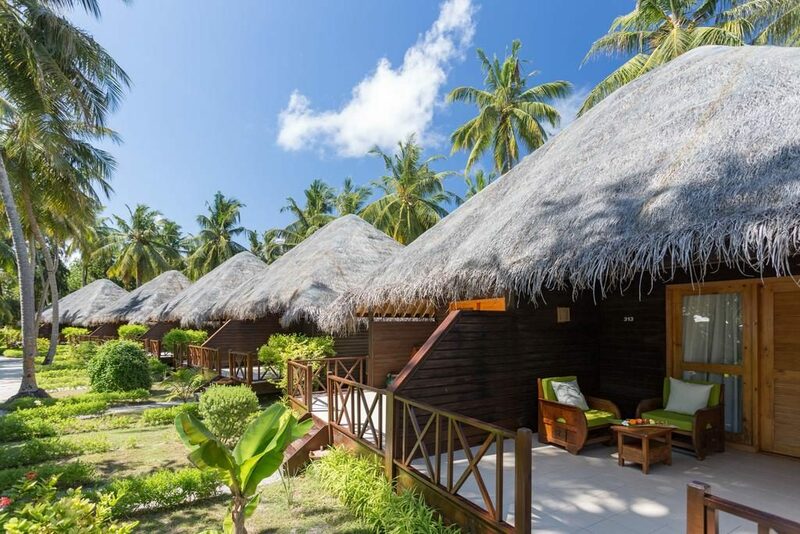 Bandos Island Resort & Spa is a large full-service resort with all the facilities you need for a stress free Maldives holiday. 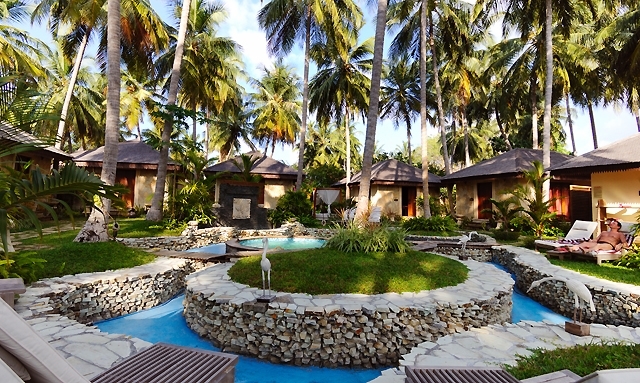 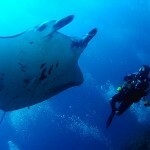 Why not leave the sun lounger for a couple of hours and head to the diving school? 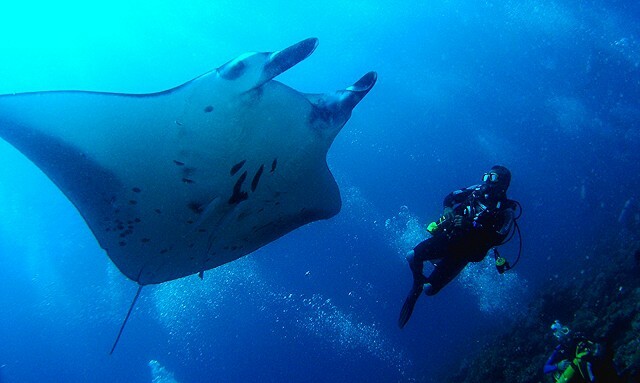 Bandos boasts one of the top diving schools in all of Maldives, so this is your chance to experience the fascinating marine world beneath the surface. 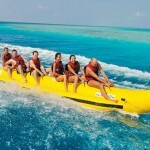 A little closer to land you can enjoy thrilling water sports like banana boats, windsurfing, catamaran sailing, parasailing and wakeboarding. 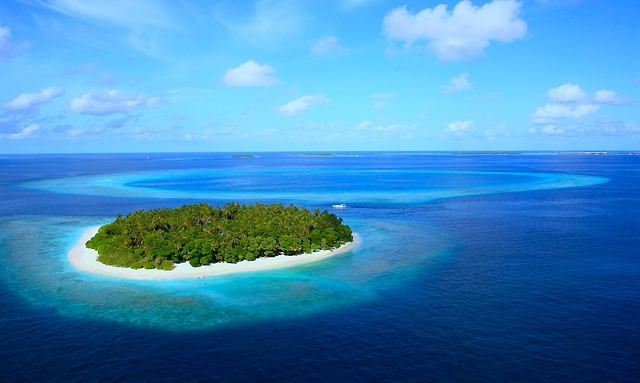 Snorkeling in the crystal clear lagoon appeals to the entire family, as do the exciting excursions on offer: how about island hopping or night fishing? 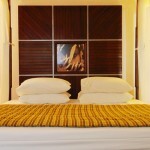 Evening entertainment include live music, theme nights, discos, karaoke and movie nights. 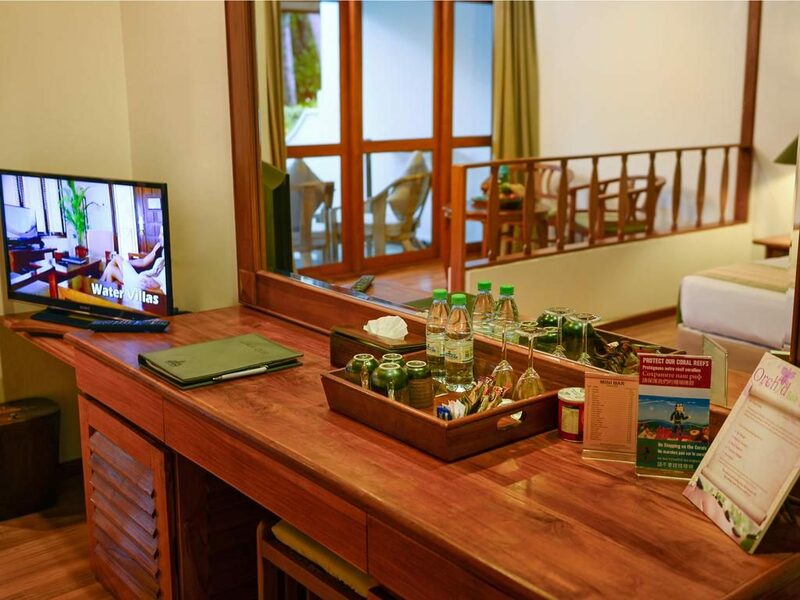 Kokko Club offers baby sitting and fun activities for children during the day, making sure that the little ones are enjoying their holiday to the full. 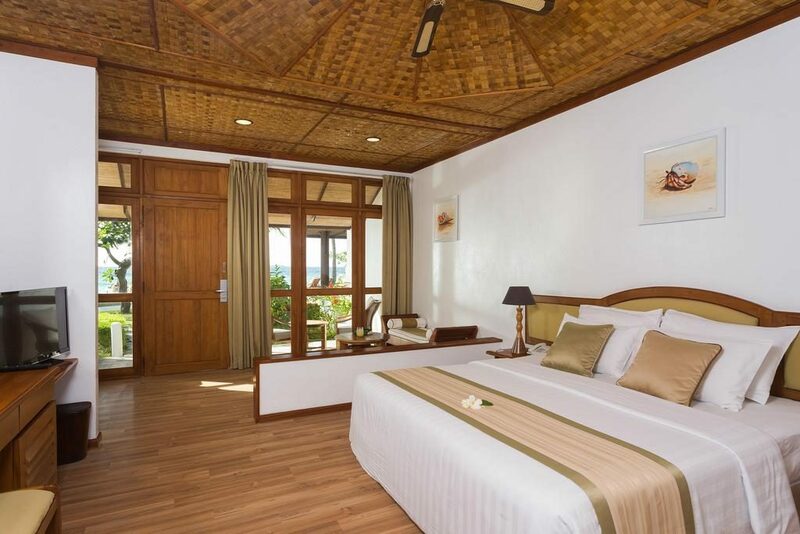 The Paradise club caters for the older guests, with a fully-equipped gym, tennis and volleyball. 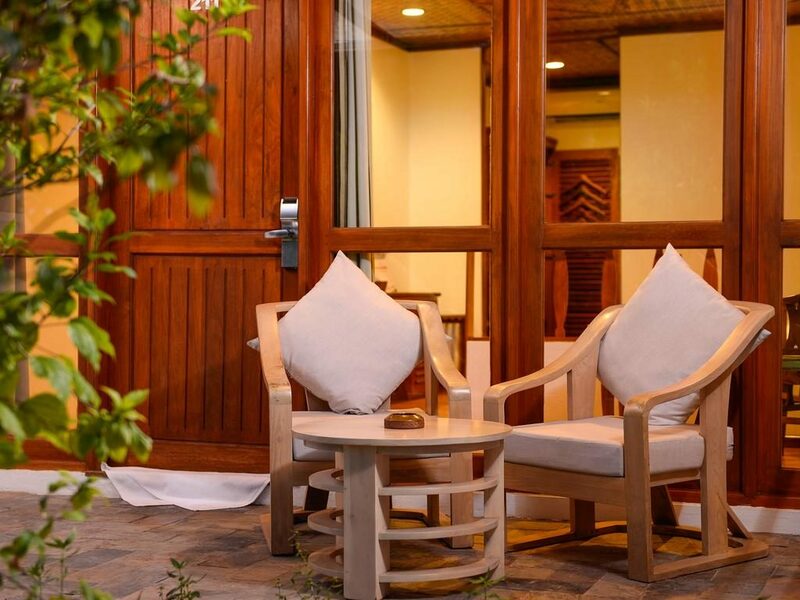 Orchid Spa uses ancient Asian treatments to rejuvenate your body and spirit. 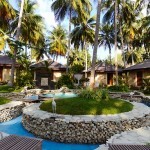 Romantic couples’ treatments are available, as well as treatments for children. 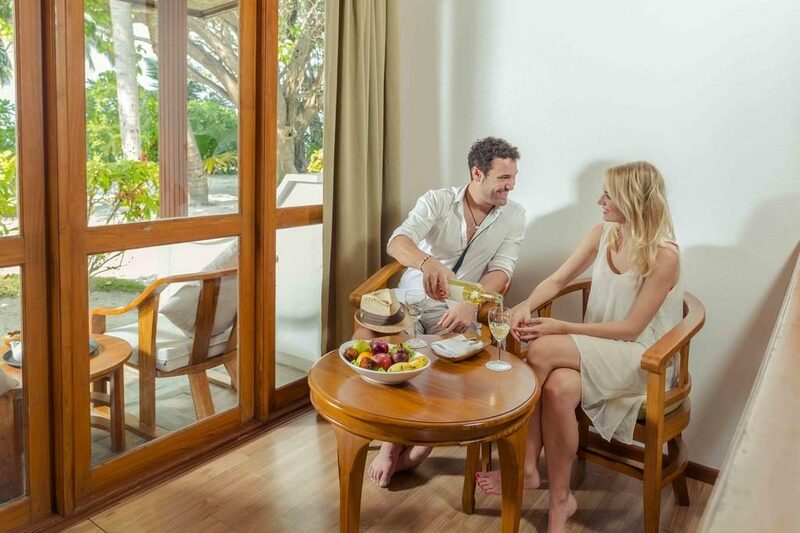 Enjoy nourishing facials, Balinese massages and herbal baths for the ultimate wellbeing experience. A gastronomic fusion of flavours from all over the world awaits at Bandos Island Resort & Spa. 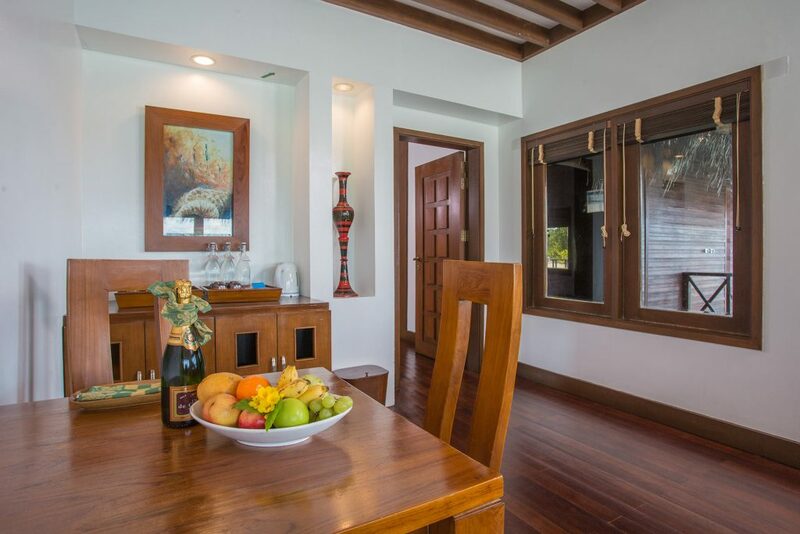 Both children and adults will look forward to each meal! 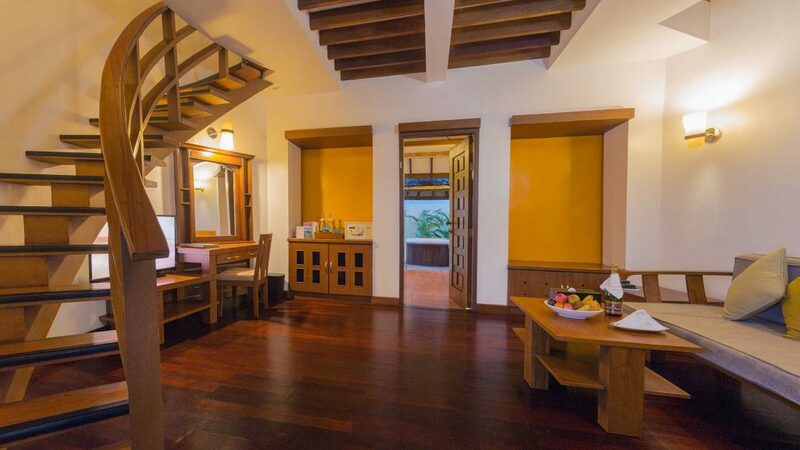 Gallery Restaurant is the main restaurant which serves mouth-watering buffets for breakfast, lunch and dinner. 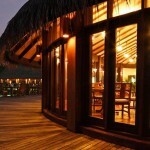 This restaurant is very popular with families and is located close to the harbour on the south side of the island. 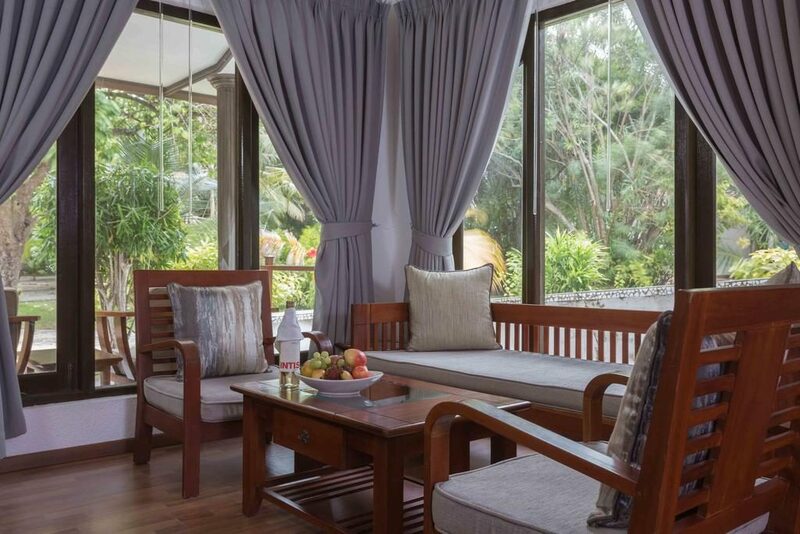 Koon Thai Restaurant celebrates Thai cuisine. 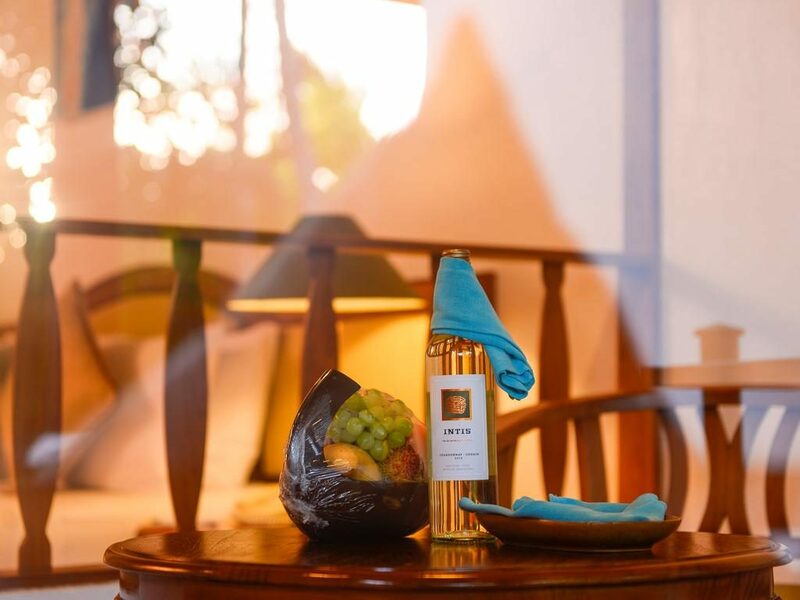 Sit outside and feel the ocean breeze towards your skin, while you enjoy the fantastic flavours of Thailand and a glass of fine wine. 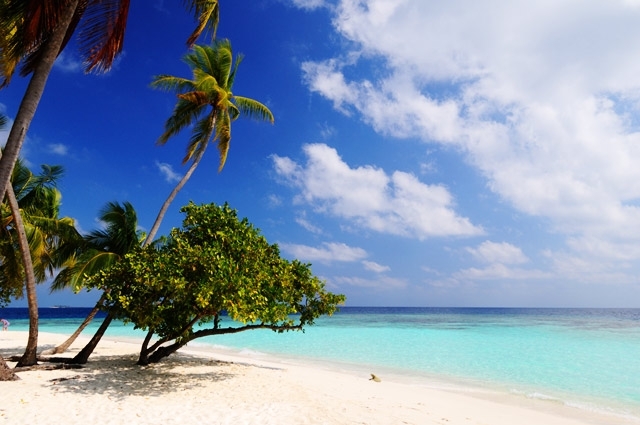 Sand Bar is the most fun-loving resident of Bandos. 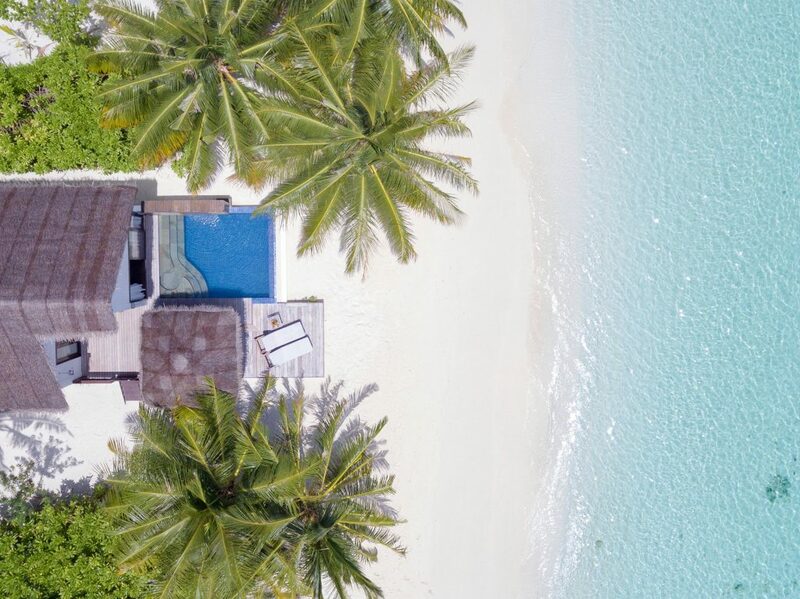 Exotic cocktails and disco anyone? 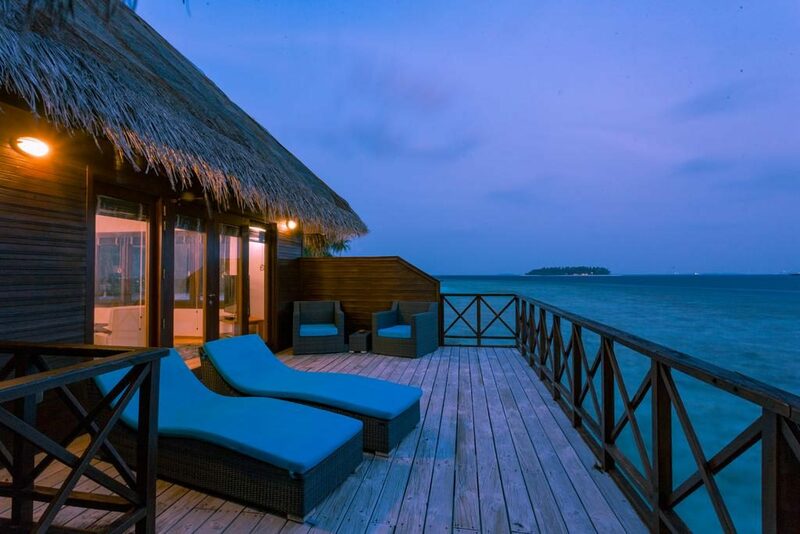 Sea Breeze Café overlooks the amazing lagoon and offers relaxed a la carte dining. 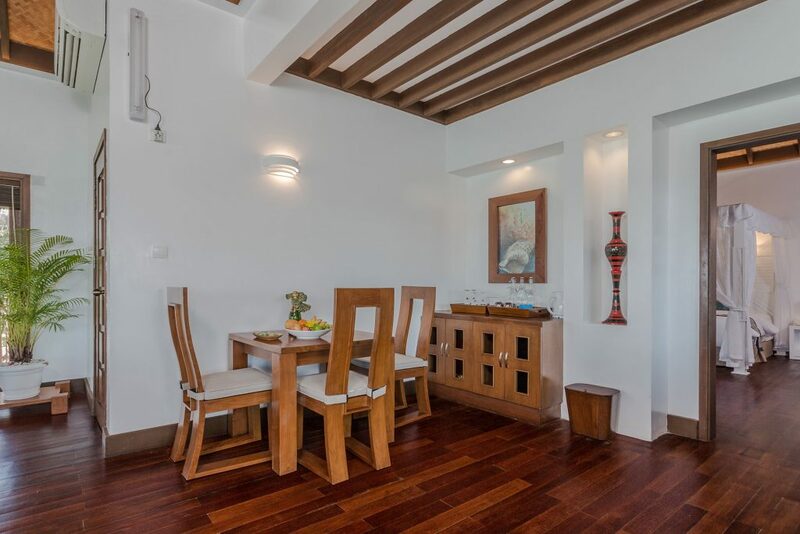 Do try the delicious pizzas or one of the Indian curries! 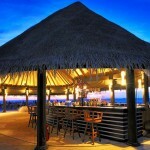 Sundowners Bar on the west side of the island is the ideal spot for watching the sunset across the Indian Ocean. 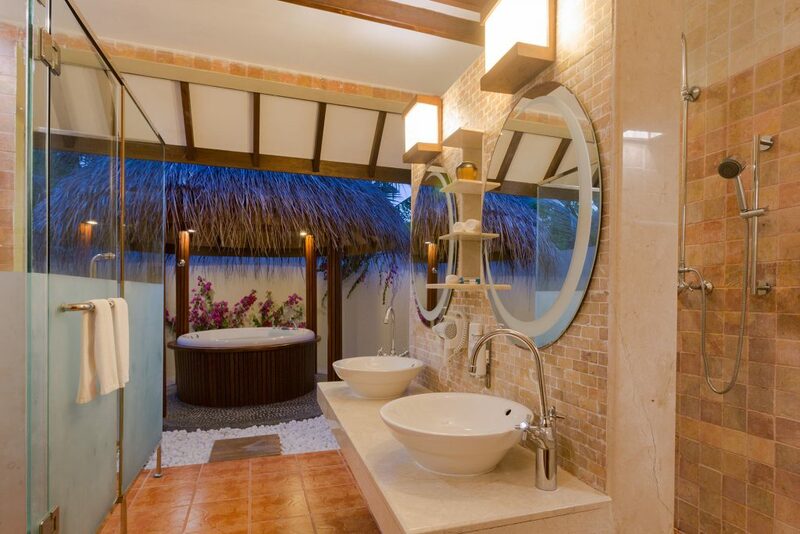 Here you can unwind with a refreshing drink after dinner. 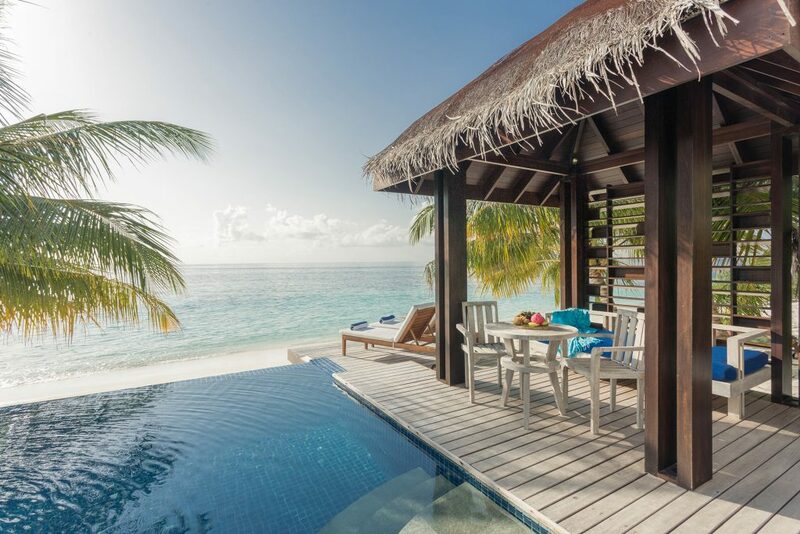 The Pool Bar is a swim up bar with Jacuzzi stools. 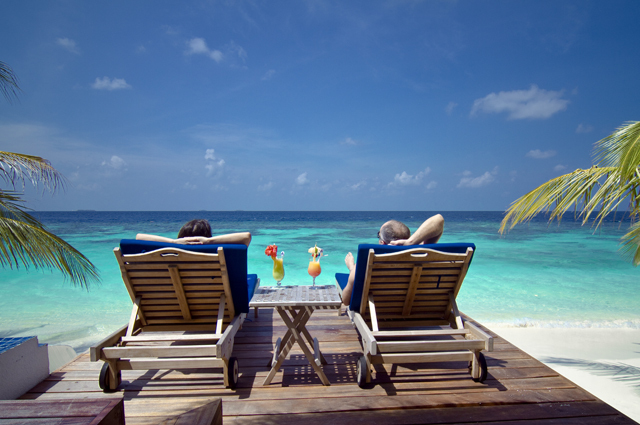 What could be better than a chilled drink or an ice cream to cool you off in the sunshine? 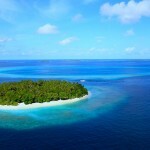 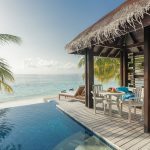 Simply Maldives Holidays offer a Bed and Breakfast option, Half Board Package, Full Board Package and an All-Inclusive Package to guests staying at Bandos Island Resort & Spa. 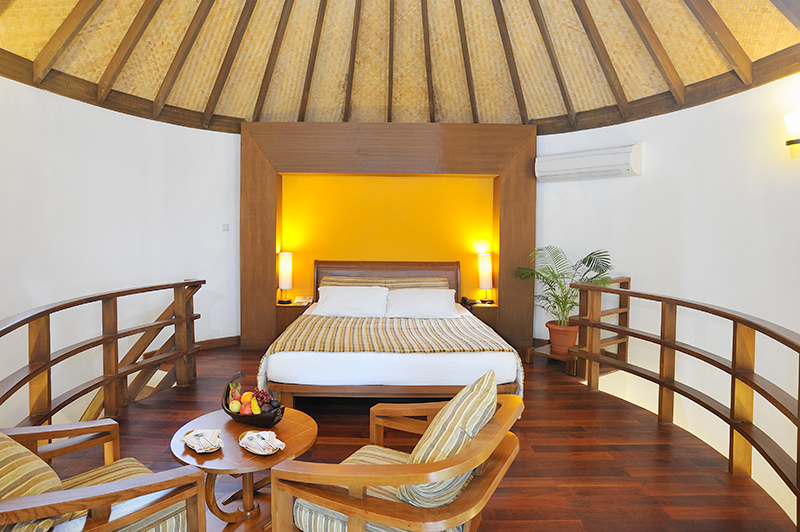 Please note that this offer is subject to a minimum stay of 6 nights.